We’re here to help you live a better story. Lighthouse Ministries is a beacon of hope, providing biblical help through counseling, coaching, small groups, and weekly articles to help people thrive in faith and life. Call 919 469-2477 to set up an appointment. We provide a safe environment for adults and children to receive biblical direction in experiencing God’s comfort and becoming strong and fruitful individuals. Our professionals are committed to helping individuals and families realize their God-given potential for their lives. In evaluating life and relationships, we consider the cognitive (the way one thinks), the behavioral (the way one acts), and the spiritual (one’s values, motivations, and relationship with God). We work with people from a variety of religious backgrounds as well as with those who have no religious background. We endeavor to help people receive God’s help and direction. We are unique because our ministry is built upon a Christian foundation and world view. We adhere to a strict confidentiality policy. We value your trust. Larry specializes in helping people have better relationships with God, others, and themselves. Larry counsels and coaches individuals, couples, and families to develop internal strength plus life and relationship skills. He believes that as a person or family discovers Christ and His principles for living they will thrive in faith and life. Larry practices a biblical model of counseling, which means it is not only based on biblical principles but is also directive in nature. He encourages individuals to move forward and experience healthy growth in their lives and relationships. 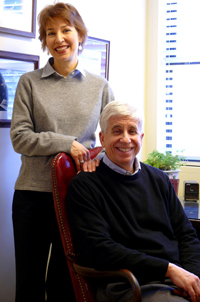 Larry and his wife, Debbie, moved to the Triangle in 1987 to begin a counseling and teaching ministry. Larry received his B.S. degree in marketing from Arizona State University and his M.A. in Counseling from Grace Theological Seminary in Indiana. Larry has been involved in ministering to families since 1973. He enjoys all kinds of sports and cycles on the weekend. He is a good sport in joining Debbie in ballroom dancing when the opportunity arises. Even though he was raised in the west, he calls North Carolina, home. Learn more about Debbie here. We are available by appointment. Schedule an appointment with Larry Wilson at 919 469-2477. To contact Debbie click here. Lighthouse Ministries, as a ministry of grace offers two types of services. Coaching packages are available. Phone appointments are to be paid before the appointment. Counseling appointments are valued at $120/session and offered on a contribution basis. This means the client contributes the amount he or she is able to contribute. We don’t set a charge per session, but neither are we free. As each one contributes what they can, everyone benefits. We are not underwritten by any corporation or specific individuals, but depend on the generosity of our clients and friends of Lighthouse. Sponsors contribute so those who want Biblical help, but are not able to pay the full rate, can get the help they need when they need it. We ask in return that those who take advantage of this sponsor-based opportunity do their part by contributing what they can. Many recipients choose to pass on the blessing by becoming sponsors. Your donations are tax-deductible and can be left at the time of your visit, mailed in or paid on line with Pay Pal. Some choose to donate monthly; see the “Donate” page. Please make checks payable to Lighthouse Ministries. Fees for books, classes, and coaching are not tax-deductible. We believe that Jesus Christ is God our Creator who can and wants to bring wholeness and health to people. We believe the Holy Spirit is God’s Spirit who enables us to minister and genuinely help people. The Holy Spirit is the one who brings restoration, healing, and direction. We believe the Bible is God’s true and accurate communication to humankind and that it provides direction, hope, and life. As we understand and implement Biblical principles, we position ourselves to be close to God and others. We believe that the foundation for effective living comes from aligning our lives with Biblical principles. Proverbs 24:6 and Psalm 1:1-3 state that Biblical counsel plays a key role in victorious living. Seeking counsel in any area of life is a sign of maturity.